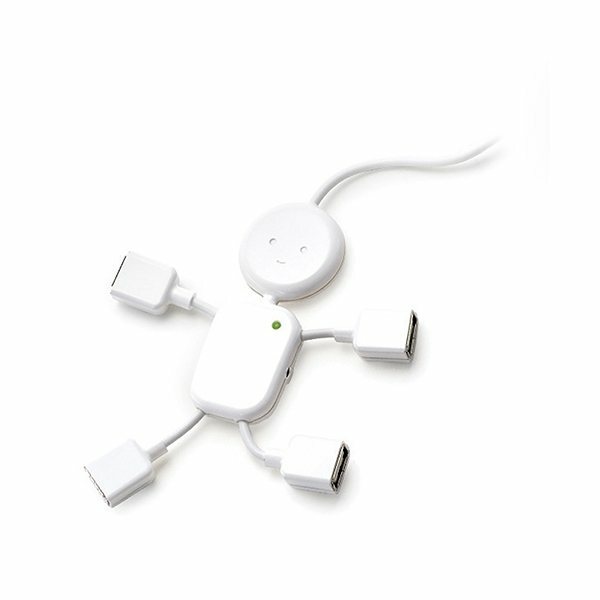 Hub Man has USB ports at the end of each flexible wire arm and leg. His body houses all the electronics and a tiny green power indicator LED in place of a heart. 4 USB 2.0 high speed ports (1.1 compatible). Plug & play, no software required. Windows 98, 2000, ME, XP, and Vista. Mac OS 9, and OS X. Top quality item, specifically for the cost. It appears great and professional! Great service and good product. Very satisfied with my order.